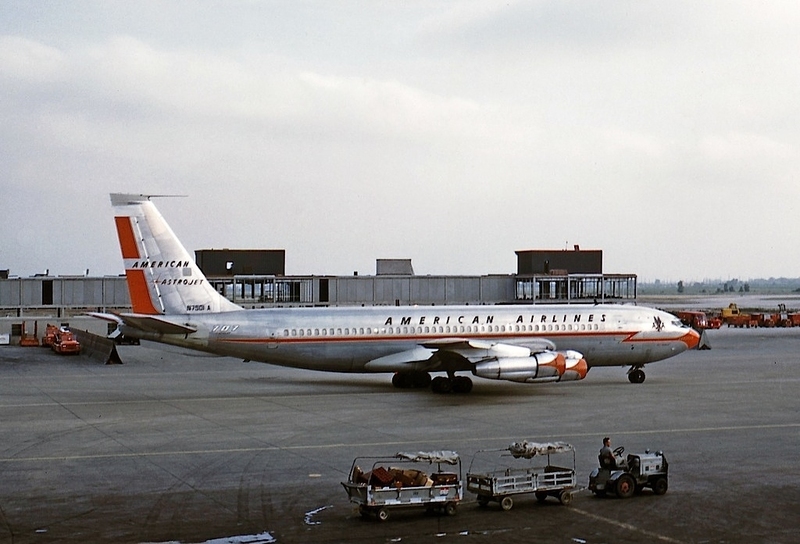 25 January 1959: “The Jet Age” opened when American Airlines began the first scheduled transcontinental passenger service with its new Boeing 707-123 Astrojet. 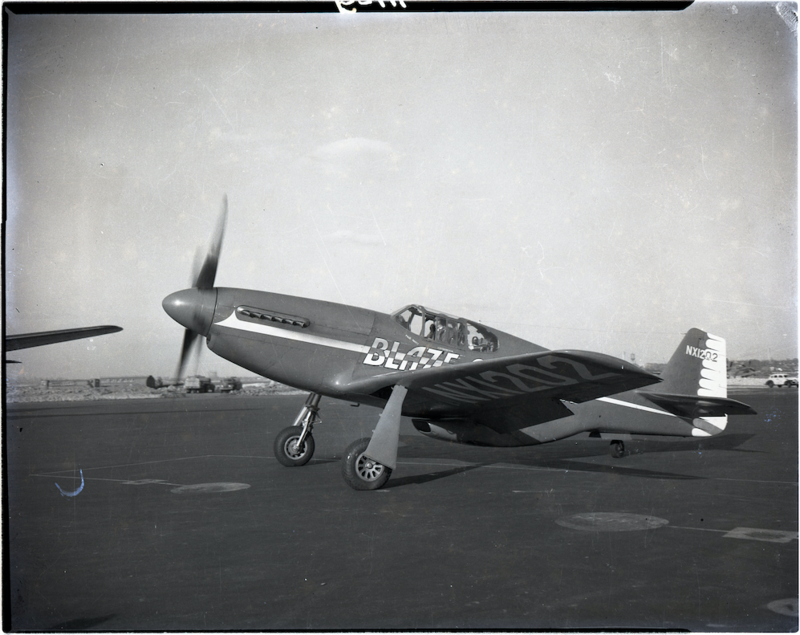 Captain Charles A. Macatee III flew Flagship California, N7503A, from Los Angeles International Airport on the coast of southern California, to New York International Airport ¹ in New York City, in 4 hours and 3 minutes. 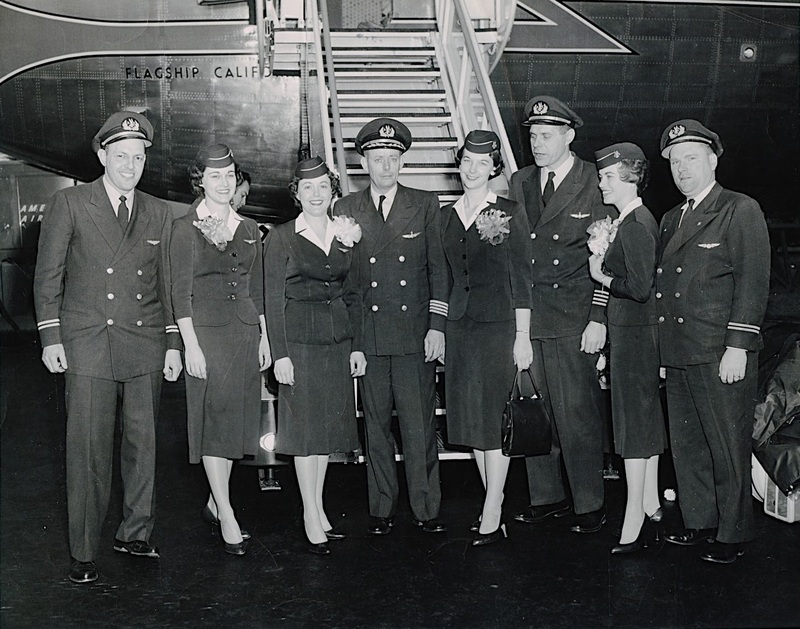 Other members of the inaugural flight crew were Captain Lou Szabo, Flight Engineer Bill Duncan, Flight Engineer Norman Rice, Stewardess Claire Bullock, Stewardess Edna Garrett, Stewardess Argie Hoskins and Stewardess Marilyn Rutkowski. 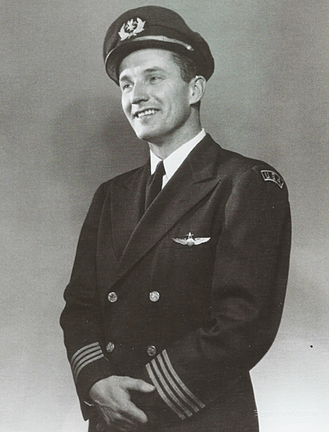 Cyrus Rowlett Smith, president of the airline, was also aboard as a passenger. The flight departed LAX via Runway 25 at 9:05 a.m., Pacific Standard Time. 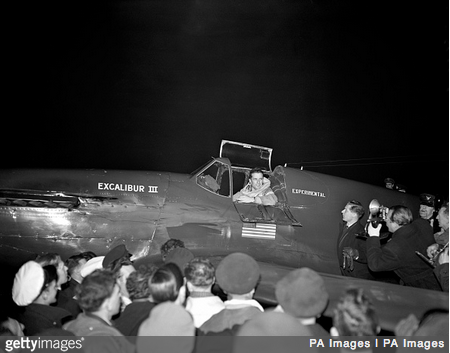 Ceremonies at the airport, with as many as 25,000 spectators, delayed the flight by twenty minutes, but a 150 knot (278 kilometers per hour) tailwind allowed the flight to make up for the lost time and they arrived at Idlewild Airport on schedule. Flagship California returned to Los Angeles the same day. Flown by Captain Hamilton C. Smith, the 707 departed Idlewild at 6:26 p.m., Eastern Standard Time, arriving at LAX 6 hours, 33 minutes later. 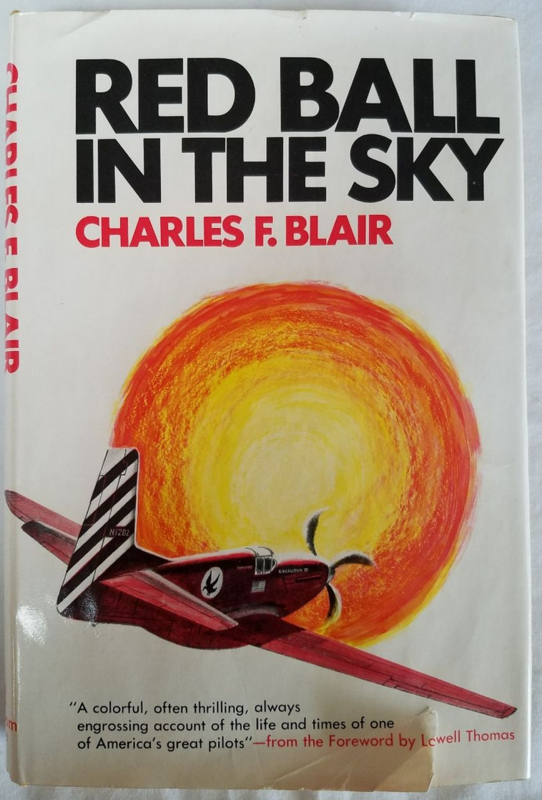 This flight was so significant that rival airlines, such as B.O.A.C. and Pan Am took out full-page newspaper advertisements congratulating American Airlines on its inaugural jet flight. Ticket prices for one-way, First Class, were $198.88, and $124.40 for coach. 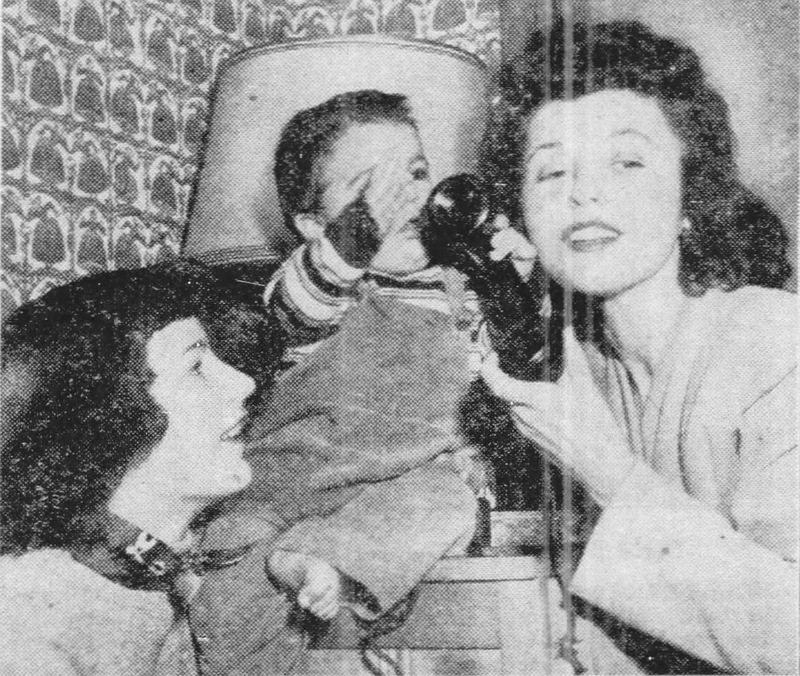 Eastbound passengers included actress Jane Wyman and World War II fighter pilot, Brigadier General Robert Lee Scott, Jr., author of God is My Co-Pilot. Poet Carl Sandburg flew on the westbound return flight. 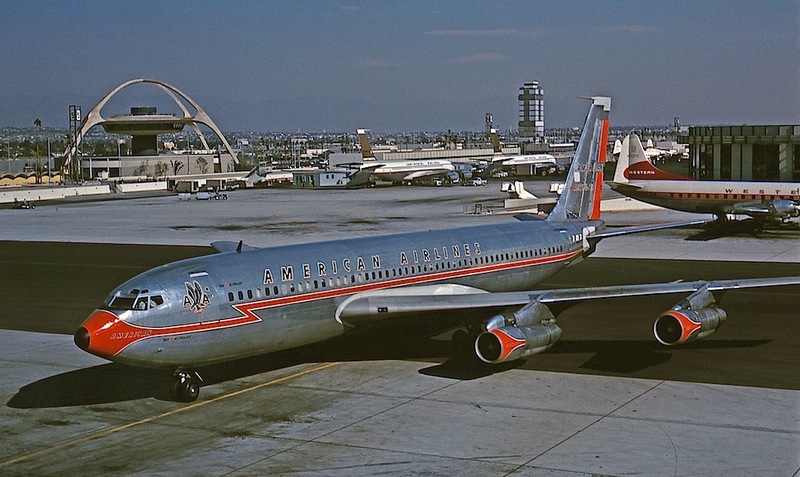 The Boeing 707 was developed from the earlier Model 367–80, the “Dash Eighty.” It is a four-engine jet transport with swept wings and tail surfaces. 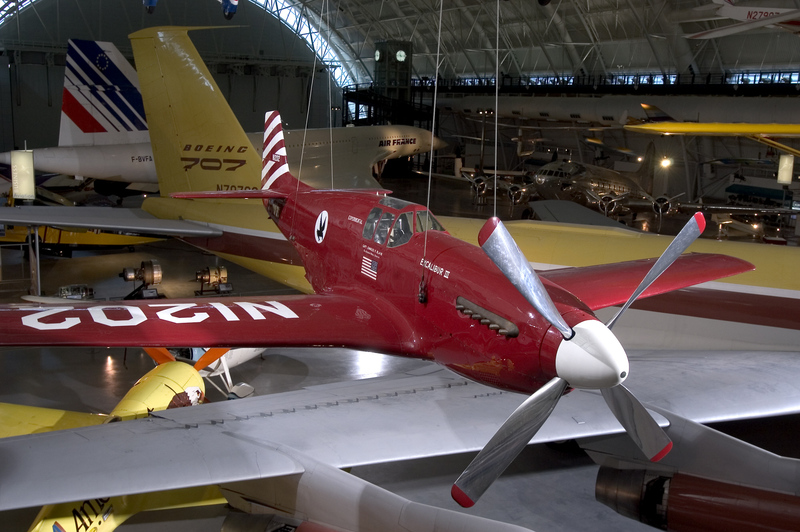 The leading edge of the wings are swept at a 35° angle. The airliner had a flight crew of four: pilot, co-pilot, navigator and flight engineer. The airliner could carry a maximum of 189 passengers. The 707-123 was 145 feet, 1 inch (44.221 meters) long with a wing span of 130 feet, 10 inches (39.878 meters). The top of the vertical fin stood 42 feet, 5 inches (12.929 meters) high. 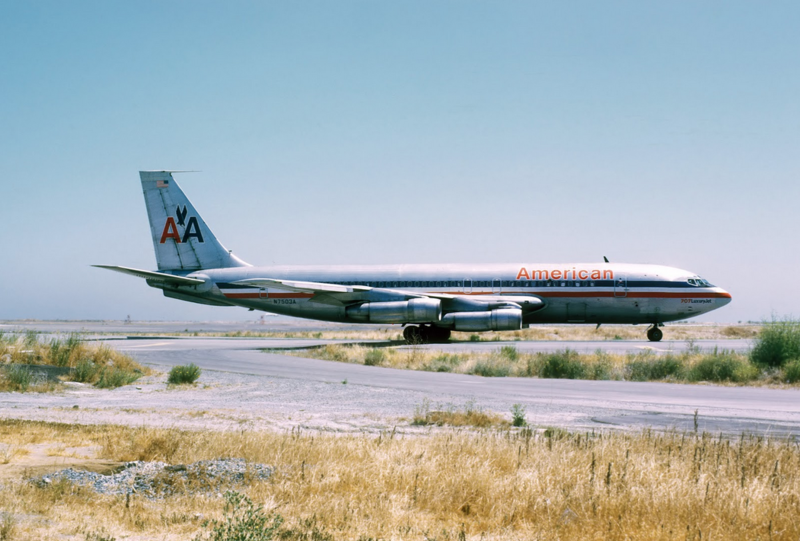 The 707 pre-dated the ”wide-body” airliners, having a fuselage width of 12 feet, 4 inches (3.759 meters). The airliner’s empty weight is 122,533 pounds (55,580 kilograms). Maximum take off weight is 257,000 pounds (116,573 kilograms). At MTOW, the 707 required 11,000 feet (3,353 meters) of runway to take off. The Boeing 707 was in production from 1958 to 1979. 1,010 were built. Production of 707 airframes continued at Renton until the final one was completed in April 1991. 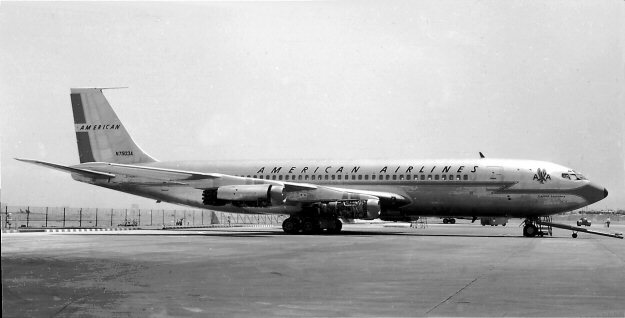 In 1961, N7503A was upgraded to the 707-123B standard. 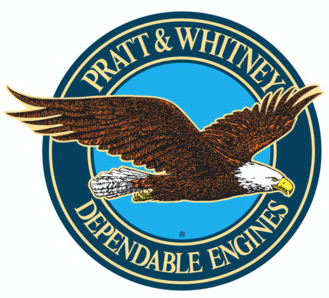 This included a change from the turbojet engines to quieter, more powerful and efficient Pratt & Whitney JT3D-1. 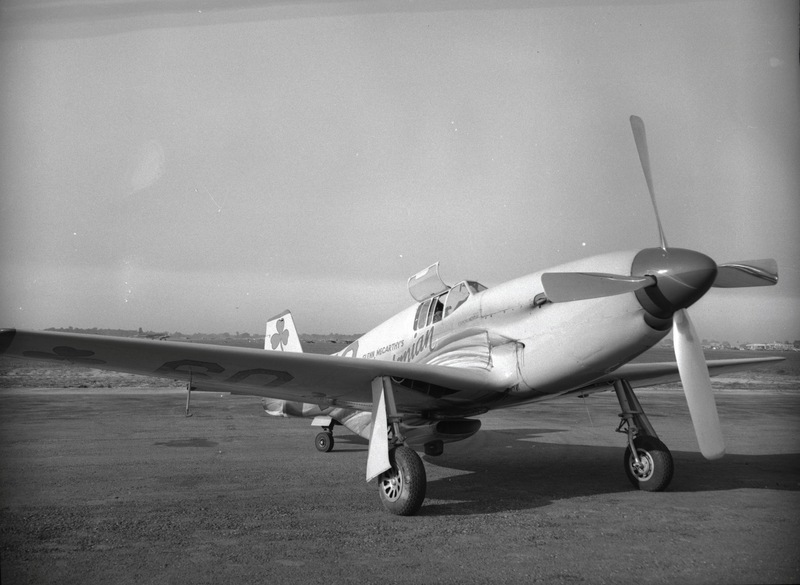 The JT3D-1 was a dual spool axial-flow turbofan engine, with a 2-stage fan section, 13-stage compressor (6 low- and 7 high pressure stages), 8 combustion chambers and a 4-stage turbine (1 high- and 3 low-pressure stages). This engine was rated at 14,500 pounds of static thrust (64.499 kilonewtons) at Sea Level, and 17,000 pounds (75.620 kilonewtons), with water injection, for takeoff (2½ minute limit). Almost half of the engine’s thrust was produced by the fans. 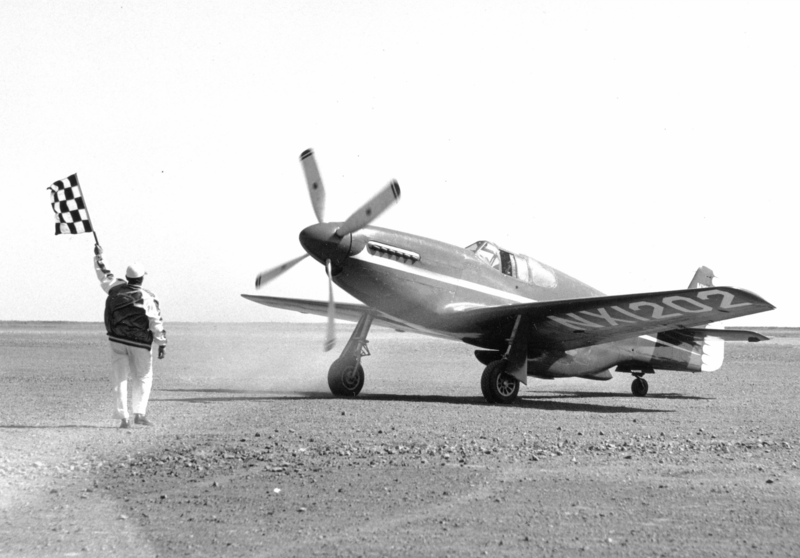 Maximum engine speed was 6,800 r.p.m. (N1) and 10,200 r.p.m. (N2). It was 11 feet, 4.64 inches (3.471 meters) long, 4 feet, 5.00 inches (1.346 meters) wide and 4 feet, 10.00 inches (1.422 meters) high. It weighed 4,165 pounds (1,889 kilograms). The JT3C could be converted to the JT3D configuration during overhaul. The 707-123B wings were modified to incorporate changes introduced with the Boeing 720, and a longer tailplane installed. N7503A was substantially damaged at Mineral Wells, Texas, 9 May 1965. It had flown through a violent thunderstorm and suffered hail damage. 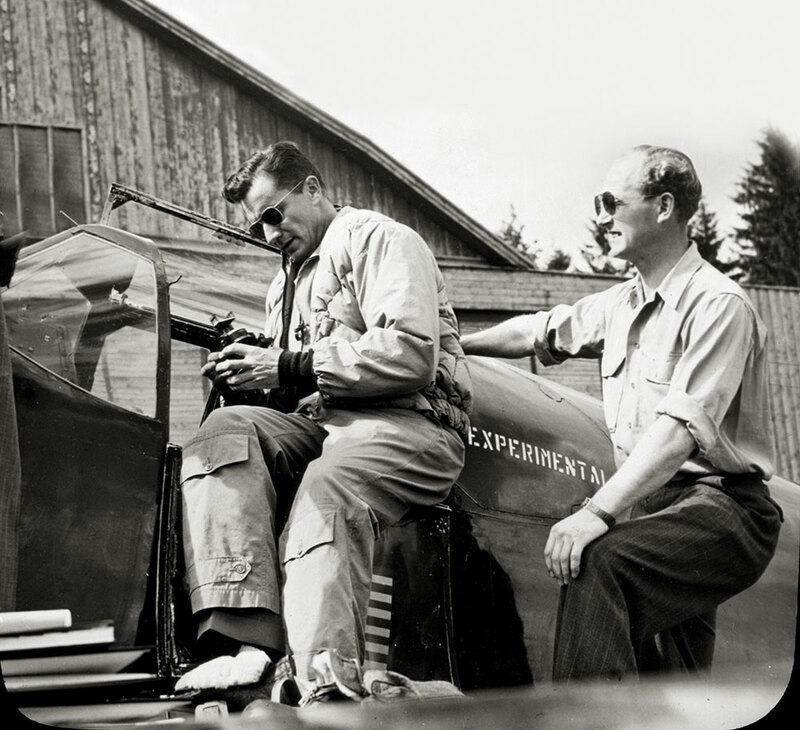 The crew made a precautionary landing, however the windshield had been crazed so badly by the impact of hail that it was opaque. The 707 made a hard landing and its gear collapsed. There were no injuries among the 89 passengers and 7 crewmembers. It was repaired and returned to service. 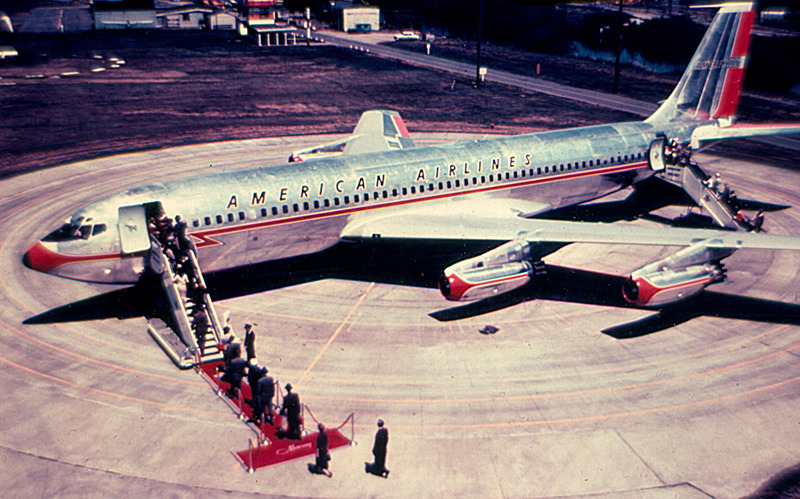 After 28 years, American Airlines’ inaugural Astro Jet was scrapped. ¹ New York International Airport, located in Queens, a borough of New York City, was commonly called Idlewild Airport. 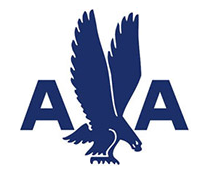 In 1963, the name was changed to John F. Kennedy International Airport (JFK).